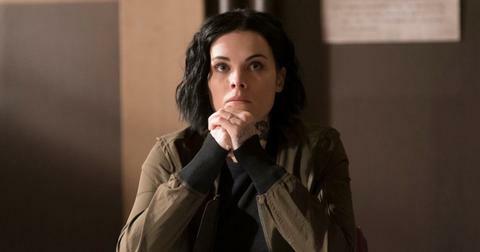 As the fate of NBC’s crime drama Blindspot hangs in the balance, fans are starting to wonder if the writers plan on killing Jane Doe (Jaimie Alexander) when all is said and done. The series has yet to be picked up for a fifth season and there are only so many times the former Navy SEAL can escape death, right? Here’s where the show left off in Episode 17 and how Jane survived her latest near-fatal experience. Does Jane die on Blindspot? 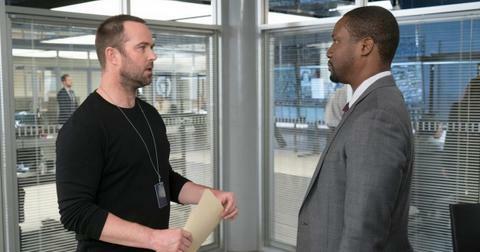 Though the tattooed heroine almost perished on the April 5 episode, her devoted husband, Kurt Weller (Sullivan Stapleton), once again saved her life. After Jane was kidnapped by Madeline Burke’s security expert, Dominic Masters (Chaske Spencer), the team scrambled to find her, but were hit with a demand: he’ll give up Jane for Madeline (Mary Elizabeth Mastrantonio). Though Weller was eager to make the trade, Reade (Rob Brown) didn't want to make any rash decisions. In the meantime, Jane was buried alive by Dominic and unable to punch her way out of the coffin no matter how hard she tried. Though Dominic left her with a phone, it was controlled by him and used to show the FBI that she was still alive. After getting a single ping off a cell tower, the team began searching within a five-mile radius for Jane as her oxygen continued to deplete. Though Madeline attempted to run out the clock with a series of demands, Zapata (Audrey Esparza) broke her down by threatening to expose her criminal behavior to her sons. Madeline revealed the location of Dominic’s hunting cabin, but the team discovered that it was empty. After this devastating blow, Weller implored Reade to make the trade for Jane and he finally agreed. Using the underwire from her bra, Jane got the phone to start working again and the team was able to triangulate a location. Weller found Jane passed out after digging to get to the coffin, but was able to revive her by pounding on her chest. Luckily, the FBI’s deal to release Madeline fell through because it was not made on the record. She was rearrested, but Dominic is still on the run. 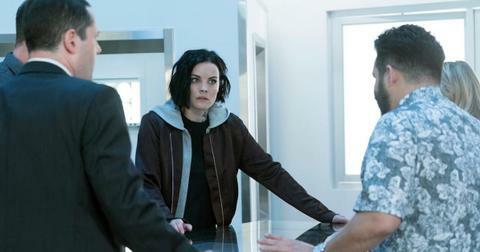 Blindspot’s showrunner recently admitted that he knows how the series will end. In an interview with EW, series creator Martin Gero shared, "I think we all have an endgame in mind. I think it’s just a question, for us, of trying to figure out when that endgame is. It’s not this season." Jaimie previously revealed that the writers pay attention to fans’ reactions when discussing future storylines. "The best thing about our show, now with social media, we now know what the audience wants to see. We always take that into consideration, while maintaining the integrity of the show," she said.